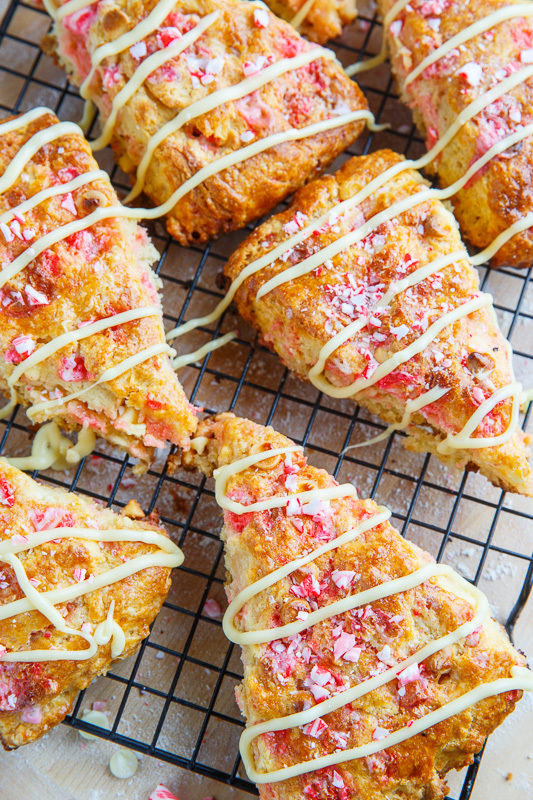 Light and fluffy scones with crushed peppermint candy canes and white chocolate chips! 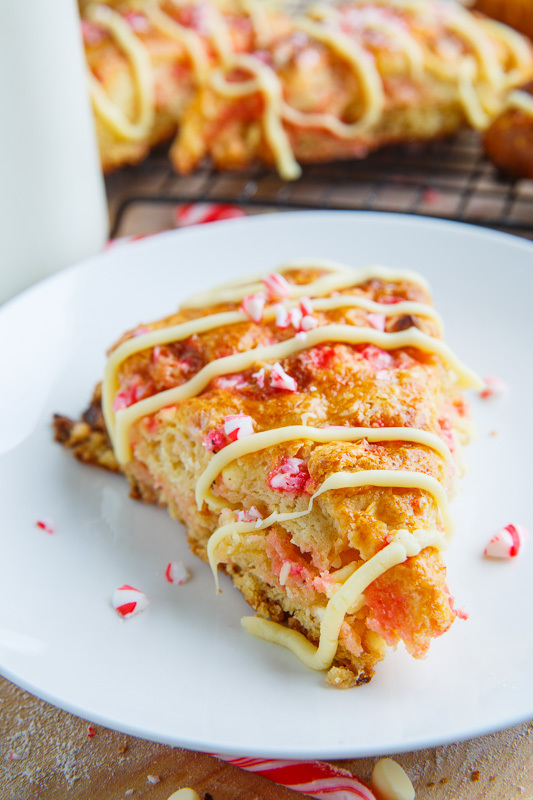 With all of the hustle and bustle of the holidays I try to make sure that I don’t forget about breakfast and these peppermint candy cane and white chocolate chip scones are the perfect breakfast for the holidays! 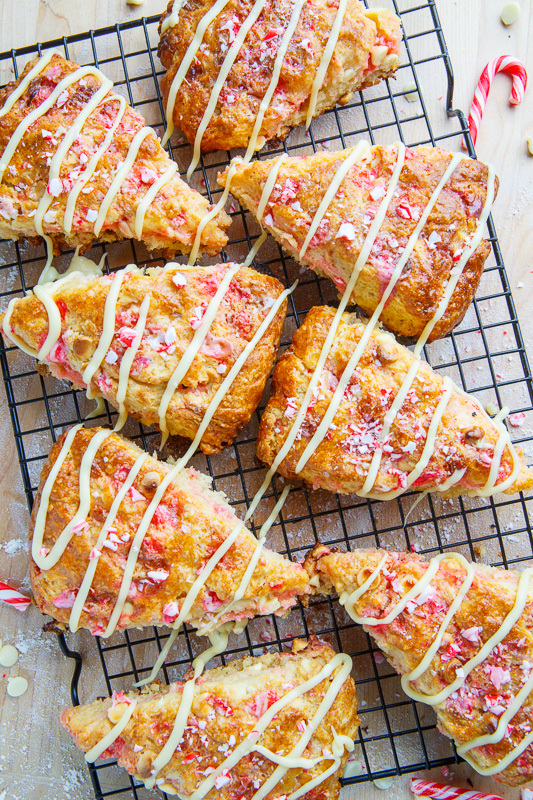 Scones are super easy to make, especially with a food processor, you simply mix all of the dry ingredients, add the chilled butter and process until it forms small grains (or cut in the butter by hand), gently mix in the wet ingredients, form the dough into the shape that you want and then bake it. The key to good scones is to not over mix once you add the wet ingredients to the dry ingredients. 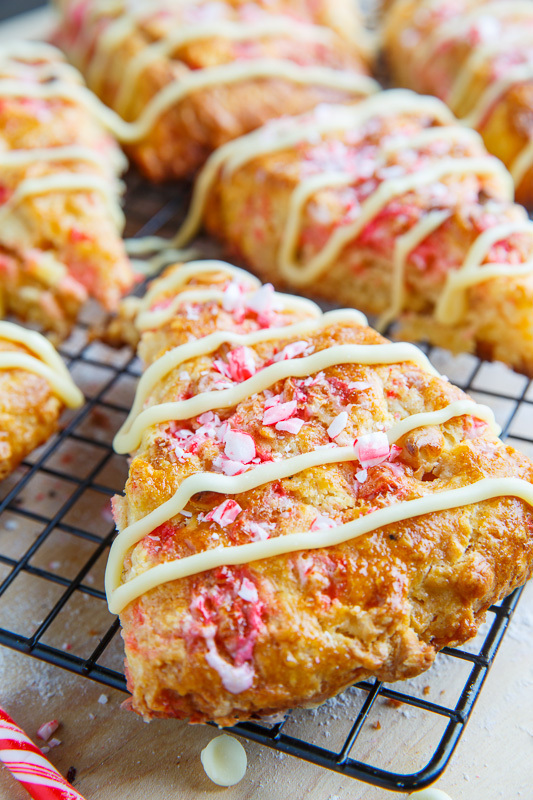 For these scones you add festive crushed peppermint candy canes and white chocolate chips and the aroma as they are baking is absolutely divine! 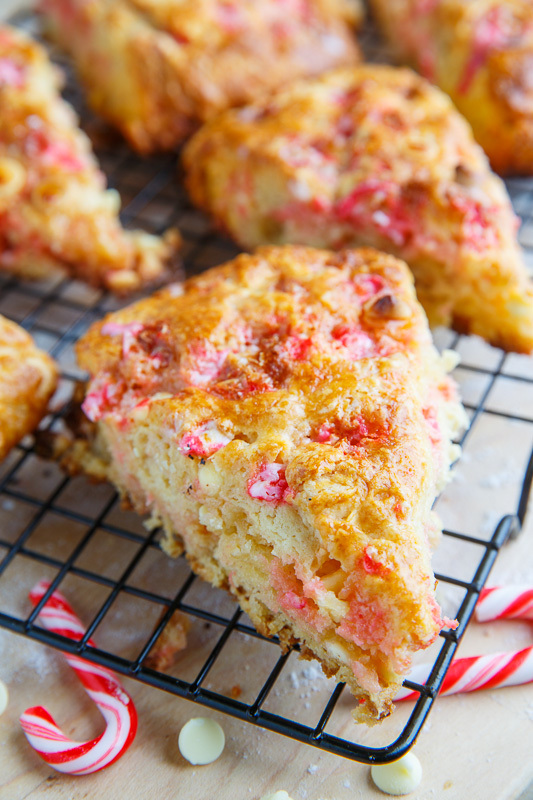 The peppermint candy cane pieces and white chocolate chips in the light and fluffy scones is simply amazing! 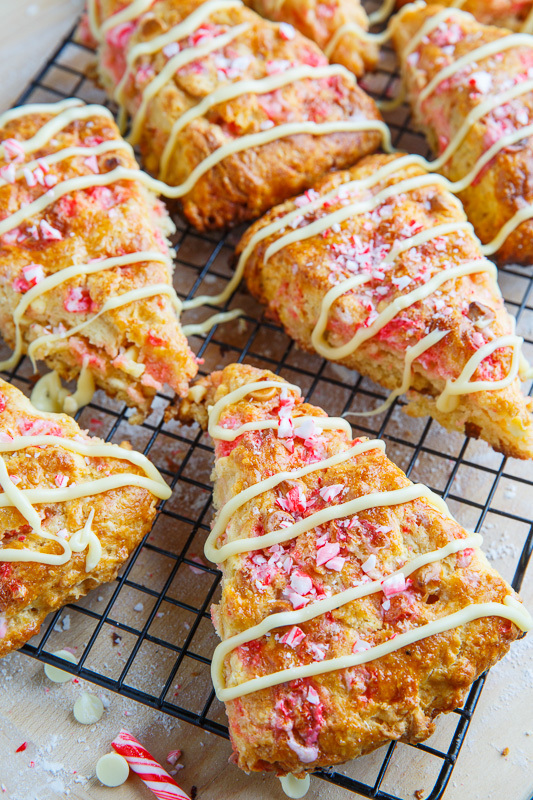 These peppermint candy cane and white chocolate chip scones are a complete pleasure for any holiday breakfast! When you bake these you will find it very difficult to not devour them all straight from the oven! 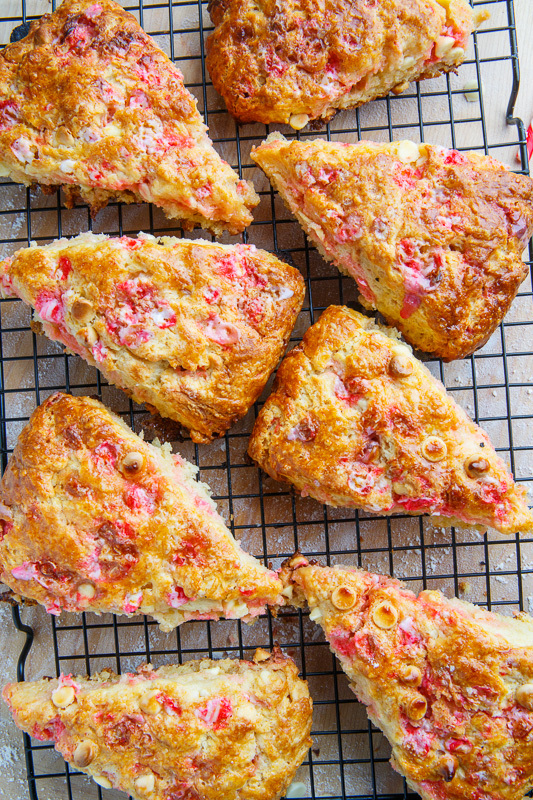 These scones are so nice and light and fluffy and melt in your mouth good! Mix the flour, sugar, baking powder and baking soda in a food processor or bowl. Add the butter and process until it forms small grains or cut the butter into the flour mixture by hand. 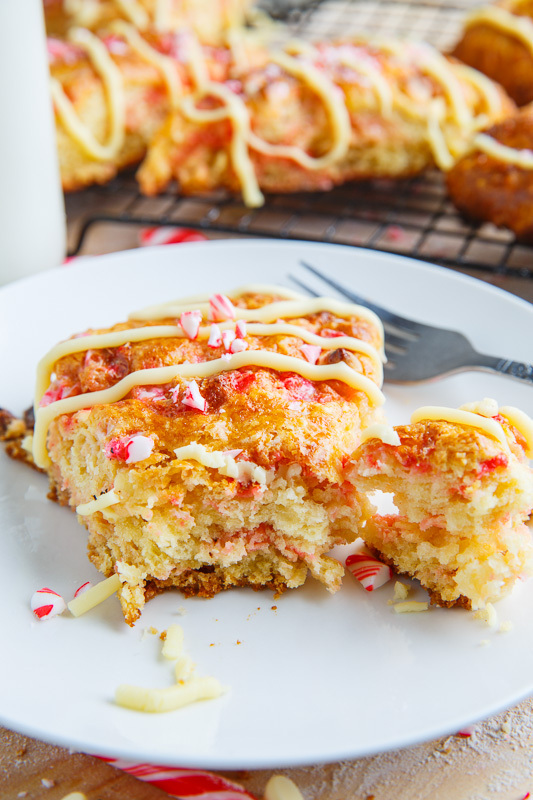 Place the butter and flour mixture into a bowl and gently mix in the mixture of the milk, one egg, candy canes and white chocolate chips until just mixed before transferring to a floured surface and kneading gently until it forms a ball. Shape and cut the scones as desired and place on a parchment lined baking pan and brush the tops with the second egg. Bake in preheated 375F/190C oven until they rise and turn a light golden brown, about 10-15 minutes, before transferring to a wire rack to cool. Option: Drizzle on some melted white chocolate! These look so yummy! I will definitely try them around the holidays. They will be perfect for my Christmas party with my girlfriends. I LOVE these! I am a candy cane freak- yum! The amount of butter is unclear. Is it 1/2 cup (1 stick) or 2 sticks (1 cup )? You don't have these listed as an appetizer but that's how I think I'll use them. I want to place them on my new $200 artisan wood board that I'm also giving away on my blog right now. Thanks for another great recipe. I tried this recipe with cocoa butter, cocoa milk and agave syrup instead of sugar, and the result was just fantastic! You are amazing, love your style and really like all the recipes you share with us! Thank you!